Richard Azzopardi, a spokesman for Gov. Andrew Cuomo, called Jordan's proposal "the Godzilla of pandering"
The topic of splitting the state into separate upstate and downstate entities has popped up again at the Capitol. Should New York be the Empire States? A lawmaker representing a suburban-rural district in eastern New York this week proposed legislation that would authorize a study into the up-front and long-term costs of separating the upstate and downstate regions into two states, along with the legal implications and economic impact. The idea of splitting upstate New York and the New York City metro area into two separate states comes up periodically in Albany, never getting beyond the proposal stage. Republican state Sen. Daphne Jordan says it's time to at least examine what a split would look like — and cost. "Let's look at it, get definitive figures," said Jordan, from Halfmoon in Saratoga County. Jordan's measure would create a 15-member working group overseen by the state comptroller's office, tasked with figuring out the cost of separating long-established state agencies, settling land disputes, and examining constitutional steps needed to split the state. The group would then present the results of its study to the governor and Legislature. Ultimately, it would take an act of Congress to split New York into two states. Jordan's measure defines downstate as all five New York City boroughs, Long Island's Nassau and Suffolk counties, and Westchester and Rockland counties. The state's 53 other counties would be considered upstate. "There's all kind of things being passed (in Albany) that aren't necessarily of upstate interest," said Jordan, a first-year lawmaker whose 43rd Senate district covers parts of Saratoga, Rensselaer and Washington counties and all of Columbia County. Splitting upstate from downstate has been discussed on and off in Albany for years. Supporters of the idea have pointed to the growing divide between the two regions' political and social leanings. Democratic voters outnumber Republicans by more than 2-to-1 statewide, with most of that dominant voting block concentrated in the New York City metro area. With every statewide elected office, the Assembly and now the Senate controlled by Democrats, Republican upstate lawmakers say their region's needs will be ignored more than ever. In 2015, some upstate residents angry over earlier passage of gun-control laws and a ban on hydraulic fracturing proposed that their towns along the Pennsylvania border succeed and become part of the Keystone State. 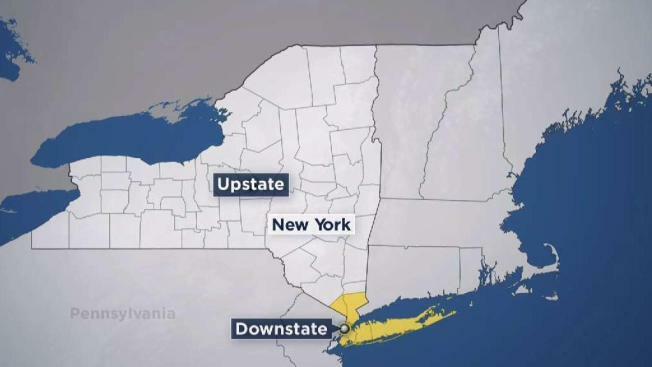 Four years later, full Democratic control in Albany has resulted in a string of progressive laws being passed already this year, fostering a growing feeling among many in upstate New York that it's time to seriously look into splitting off upstate from downstate. "The impulse is understandable. There are real differences between upstate and downstate," said E.J. McMahon of the Albany-based Empire Center for Public Policy, a conservative think tank. But given the upstate region's lagging economy and shrinking tax base, McMahon cautions that losing access to downstate-generated revenues would be felt from the Adirondacks to Buffalo. "Upstate would need to do a really significant reset of the way government is funded and what it spends, and upstate politicians have not exactly been clamoring for the reforms that it would take to make that happen," he said. Jordan's measure doesn't have a sponsor in the Assembly. Richard Azzopardi, a spokesman for Democratic Gov. Andrew Cuomo, called Jordan's proposal "the Godzilla of pandering." She responded by saying she loves monster movies and comparing the impact of the governor's policies on New York as "the curse of Dr. Cuomostein."